I finally bought my first watch! I've been looking at watches recently and have been wanting to own one. I'm tired of looking for my phone in my bag when there's a need to check the time. Now all I have to do is simply take a look at the time on my wristwatch whenever I need to. I wasn't aiming to own one of the signature types. They're expensive. LOL! I actually got the watch from one of my colleague's catalogs and thankfully, it's on sale! 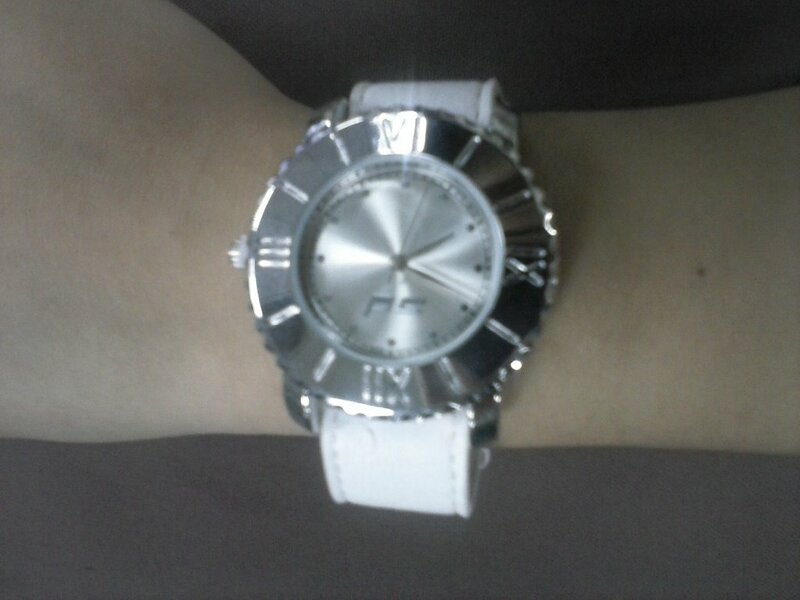 I didn't hesitate and got what I wanted - a 5-in-1 watch. 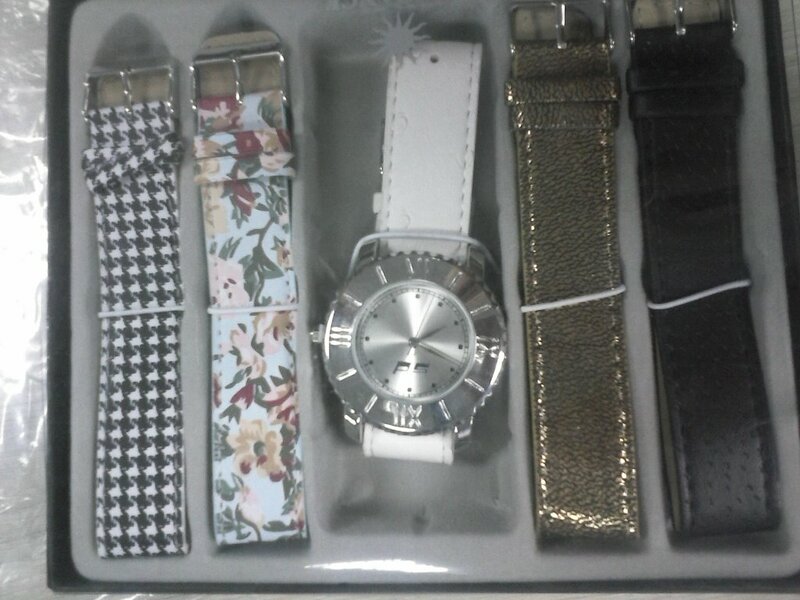 It has 5 different straps which will be very useful for me. I'd be able to match it to whatever outfit I want to wear. I'm just happy with my acquisition today. It isn't expensive but it's worth it for me! YAY! Happy new. bang. I am such a sucker for watches. Di kumpleto ang get up pag walang suot na relo. LOL!